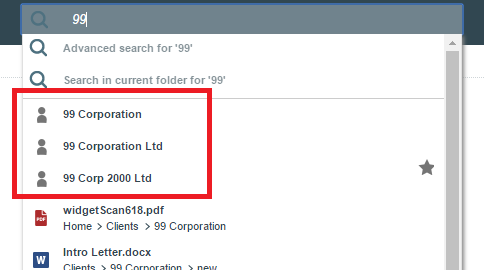 If you are experiencing any issues with search like files or folders not being displayed in search then you may need to update your search cache for SuiteFiles web. 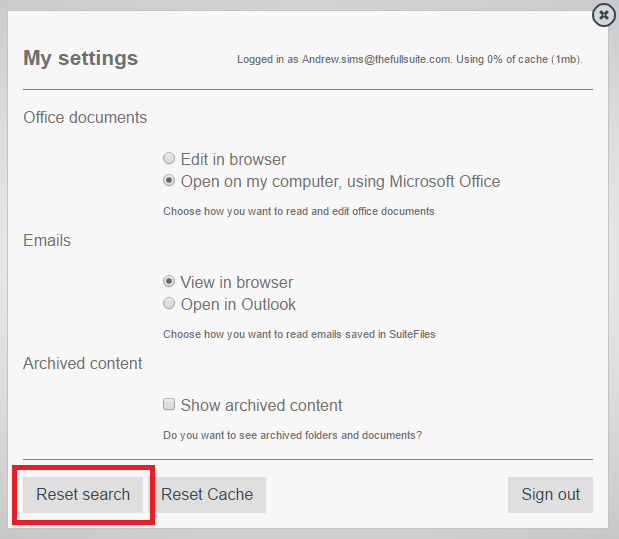 This can be done by selecting the Search tab in your User Settings and clicking the "reset search" button. If the "Time for a coffee" window gets a full progress bar and doesn't close on it's own then you can simply close this yourself by clicking the close button. NOTE: If the 'Time for a coffee' window doesn't close on its own then you can close this yourself as long as the bar has fully loaded. The window doesn't always close on its own when it's finished. The drop down lists of folder will have blank spaces and look like folders are missing. Once done close Chrome and reopen it and SuiteFiles, give it a minute or two to complete updating - everything should work as expected at this point.